Rapper Snoop Dogg will start selling his very own line of marijuana flower and cannabis products in Colorado pot shops today — making the multiplatinum MC the first A-list celebrity to the market with a full, self-branded line of commercialized cannabis. 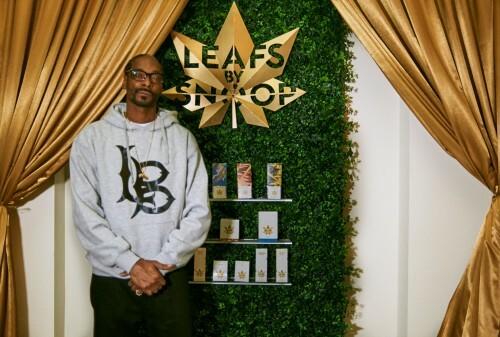 Snoop launched his new weed line, Leafs By Snoop, at an extravagant private party on Nov. 9 at a suburban Denver home owned by LivWell owner John Lord. LivWell, one of the largest pot shop operators and cannabis cultivators in Colorado, will sell Leafs By Snoop products exclusively in Colorado for the first 30 days, after which the product will be available wholesale to other shops, according to a source close to the brand. 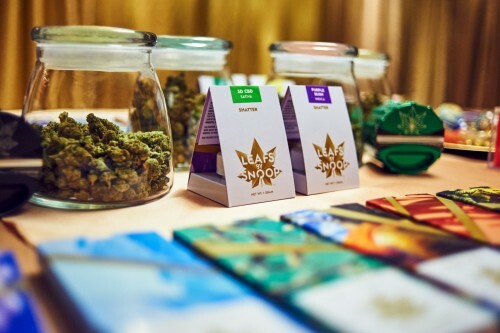 Leafs By Snoop cannabis products are made under a Colorado marijuana license belonging to Beyond Broadway, which does business as LivWell and will grow all of the brand’s flower and manufacture its edibles and concentrates. Snoop can’t technically own the Leafs By Snoop brand, because he’s not a Colorado resident. Monday’s Leafs By Snoop launch party was full of local and national media, LivWell VIPs as well as a few other industry players. A couple bags of Popeye’s Chicken arrived at the house and were taken downstairs to the green room about a half-hour before Snoop took the stage, triggering chuckles amid the crowd. But when Snoop came upstairs to greet the house party a few minutes later, he spoke for a few minutes — on his activism and his love of Colorado — and introduced a promotional video (embedded below), which showed off the Leafs By Snoop brand. Then Snoop led around 30 people into a curtained-off room, where he packed and lit bowls for the curious. Empty boxes of the Leafs By Snoop edibles and concentrates were displayed on the table with the cannabis flower. Three young women in Leafs By Snoop tank tops expertly rolled blunts for the MC — and for the crowd. A young woman asked Snoop if she could light a bowl for him, and the rapper obliged — and after he took a deep hit, he did a little dance to the delight of the crowd. Snoop stayed in the product room, seemingly happily serving up the product to anyone out for a hit, for 15-20 minutes — longer than anyone expected — and then he retreated downstairs, only to emerge 20 minutes later to take a couple photos and then take the decks as DJ Snoopadelic. Snoopadelic’s truncated DJ set — in a suburban Denver home with fewer than 50-60 people in the living area — included tracks from Prince, Michael Jackson, Tupac, Rihanna and James Brown. The pinnacle of his set came in the form of Dr. Dre’s “The Next Episode,” where Snoop rapped his own rhymes that famously start the song. When Dre’s lyrics took over, Snoop danced along — playing along with the small audience’s fantasy of seeing a Snoop Dogg show in a large suburban home belonging to a legal weed czar. The Leafs By Snoop deal is a substantial one for LivWell, which has suffered some significant hits to its reputation in the last 15 months. In August 2014, LivWell was sued by multiple plaintiffs in a class-action lawsuit that alleged the company distributed marijuana-infused chocolates — instead of the non-infused chocolates it intended to give away as samples — to visitors at that year’s Denver County Fair. That lawsuit was settled in June. 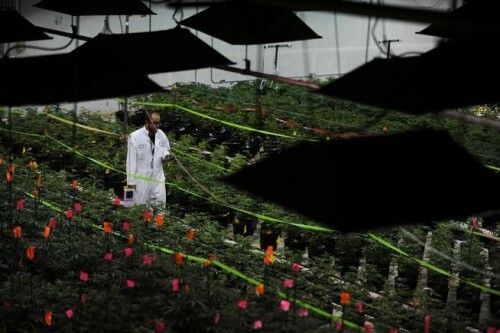 Earlier this year, LivWell had more than 60,000 plants put on hold because the company’s growers had used potentially dangerous pesticides that had been banned for use on marijuana by the Colorado Department of Agriculture. In late-May, a small group of protesters associated with industry watchdog group the Cannabis Consumers Coalition rallied outside LivWell’s South Broadway location to demonstrate against the company’s use of pesticides. The company switched to a slate of pesticides certified by the Organic Materials Review Institute in March, they said — but in October, two marijuana users in Colorado announced a lawsuit against LivWell over the use of the potentially dangerous pesticides. Neither of those plaintiffs allege they were sickened from ingesting the marijuana they purchased at LivWell, but each said they would not have inhaled the product if they had known it was treated with potent pesticide brand Eagle 20.